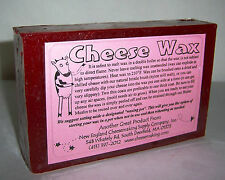 Make Cheese at Home w/ RED CHEESE WAX One Pound Of Food Grade Wax For Aging NEW! Like Parmigiano Reggiano, Grana Padano is a semi-fat hard cheese which is cooked and ripened slowly for at least nine months. It is produced year-round and the quality can vary seasonally as well as by year. 1 sachet x1 gram for 100 liters / 26.5 gallons of milk. All MR products are solely of vegetable origin. No animal-derived material is used in any step in the production process. to 100 liters / 26.5 gallons of warm milk at a temperature of 35 °C / 95 °F. 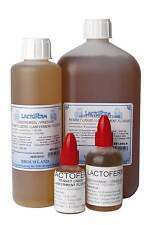 Lactoferm Rennet liquid 25ml. RENNET FOR CHEESE MAKING. Rennet liquid 25ml. Dosage for soft curd cheese: 1 drop/l. Liquid White / Yellow Cheese Rennet. 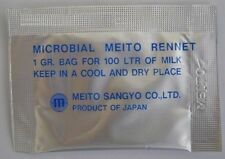 ORIGINAL Liquid ANIMAL Cheese Rennet for Cheesemaking. "Slivenska" rennet. The most famous calf rennet used by cheese makers all over the world. Bulgaria Keep in refrigerator as pictured EU standard for150L ( 39gal ) of milk. PESTO GOUDA Dutch CHEESE. 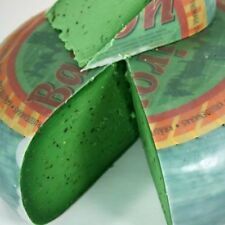 A wonderful combination of delicious creamy Dutch cheese and green pesto. 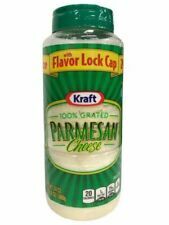 This pesto cheese is really worth a try. The cheese is matured for 6-10 weeks. Storage Instructions: Refrigerated necessary once parcel is received. This cheese is creamy and soft, with a peculiar, typical taste. Soft gorgonzola cheese is slightly spicy; spicy gorgonzola, whose curd is more blue-veined, is thicker and more crumbly. Blue mould is added to Roquefort cheese, which gives it a particular taste. Roquefort is produced in big wheels which weigh around 3.5 kilograms, and which are about 10 cm thick. Roquefort needs to ripen around 5 months. Many of these cheeses are delicious in their own right. 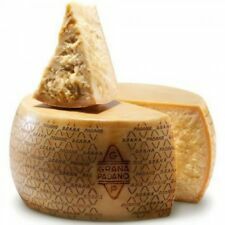 An example is the cheese Grana Padano. It has a hard pale-golden rind and a straw-colored interior with a rich, sharp flavor. Parmigiano-Reggianos are aged at least two years. The magnificent Cheese Island is made with milk from cows that live in full communion with nature, feeding on the lush and lush Azorean pastures. Thus, your milk gains a unique flavor and quality, which makes the Cheese Island so unique and irresistible in flavor and aroma. Brugge Old is a classic among the cheeses. Furthermore Brugge Old has a very low lactose content. BRUGGE OLD CHEESE. Try our Brugge Old in a fresh salad of rocket, tomatoes, Parma ham, olive oil and a generous splash of balsamic vinegar. Manchego cheese denomination of origin La Mancha. 100% Sheep milk of denomination of origin La Mancha. You will not receive the whole cheese but only 200 grams. Type of cheese Type of milk La Mancha (Toledo Spain). Proper storage of your cheese helps to preserve the purity of its flavor. Plastic wrap, foil and other non porous materials suffocate and kill cheese, altering its flavors and accelerating spoilage. Formaticum's two ply Cheese Paper simulates the cave environment where cheese is traditionally aged. 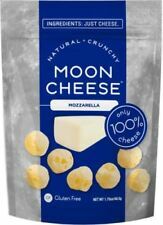 It allows cheese to breath while maintaining an optimal humidity. 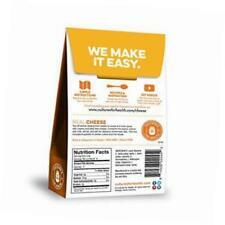 Formaticum Cheese Paper keeps your cheese tasting fresher longer. Package of fifteen 11 by 14 inch cheese papers and thirty adhesive labels. 85 mm x 35 mm ( 20 units). Vegetanle Rennet. Cheese Mold with Follower. You can make 1kg/2.2Lbs of cheese from 10Litres / 2.6Gal of milk. 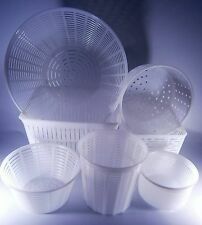 Cheese Making Kit. Cheese Starter. Kit Included. Rennet "FROMASE 50®". Safety during coagulation is one of the basic wishes of the producer of cheese, and for this reason, the curd should be carefully selected and maintained in the condition necessary to not lose enzymatic activity. Tastee Cheese is a taste Jamaicans know and love worldwide. Made from top quality cheddar cheese from New Zealand, Tastee cheese is a blend of the finest cheese which gives it its unique taste. 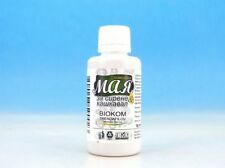 Phosphorous - Works with B vitamins to release energy from fat, protein and carbs. Trending at C $31.44eBay determines this price through a machine-learned model of the product's sale prices within the last 90 days. CURED GOAT CHEESE. It is a cured cheese, with hard paste and white, with hard shell and white or reddish, coated with paprika. It has a sharp and crystalline flavor and aroma. Average nutritional values per 100gr: Prepared: Energy: 1939.00 kJ / 468.00 kcal; Carbohydrates: 4.00 g, Of which sugars: <4.00 g; Lipids: 40.00 g, Of which saturated fatty acids: 27.00 g; Proteins: 23.00 g; Salt: 1.50 g; Calcium: 595.00 mg.
85 mm x 35 mm (20 units). 200 gr / 7 oz CURED SHEEP CHEESE. SHEEP MILK RAW, SALT, RENNET. BUY DELICIOUS PORTUGUESE PRODUCTS! We 'll be careful so that the product arrives to your hands in the best conditions of hygiene and safety. In 1984, cheesemakers decided to unite in defense of their production. Soon the following year, the certification of the cheese begins, now in full operation. The Azeitão Cheese must bear the certification mark affixed by the respective certifying entity. 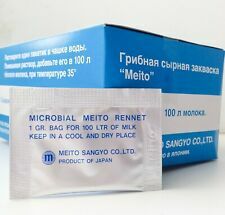 Junket Rennet Tablets can be used to make cheese, rennet custard, ice cream, and sugar-free desserts. Ingredients: Salt, Calcium, Lactate, Corn Starch, Rennet, Tricalcium, Phosphate, Calcium Stearate (Food Grade). The curd thus achieved is left to stand until the mass has reached the desired consistency, serum is extracted by focusing on dry mass, to which is added good quality refined salt, at the rate of 2.8% by weight. Sheep raw milk, salt and rennet. Inedible shell. You will receive in your house a product equal to that of the photo below. The Cerrado do Vale is a cured cheese, made from sheep's milk. Its cure makes it a cheese with a strong aroma and flavor. A cheese for lovers of intense flavors. Sheep raw milk, salt and rennet. Add this flavour and create exciting dishes such as Shahi Paneer, Malai Kofta, Tandoori Macarooni or Pizzas. Go On, Indulge Yourself! Mayonnaise Tandoori.